Google Glass. Photo: Ted Eytan via Flickr. In an early attempt to leverage what could become an important tool for citizen journalists around the world, CNN has launched a new initiative to recruit Google Glass users who want to share their stories, photos and videos. With the move the cable news network has become the first major media outlet in the United States to embrace the new wearable technology. The effort expands upon CNN’s citizen journalism platform iReport and invites people using the device to share their photos and videos with the news network. CNN received its first submission – a photo of a gas pump in Miami commenting on growing gas prices – shortly after announcing the initiative last week. “You never know when you'll spot breaking news, and it's a simple, fast way to share the images and videos you capture with your Glass,” wrote iReport editor Katie Hawkins-Gaar on a post announcing the initiative last Wednesday. ZDNet noted that the effort may seem premature upon first impression since the market penetration of the device remains low. Only about 30,000 persons around the world own a pair of Google Glass and, at an asking price of $1,500 to purchase the open beta version of the product, costs may keep the technology from becoming mainstream any time soon. However, it may pay off to build a community of early adopters. Hawkins-Gaar also told ZDNet that part of the network's goal was to test the potential of the new technology and take notes on how the network’s reporters can use it. “In the anticipation that Glass may well one day become a mainstream technology, dabbling with wearable-based news gathering would be a step up from most other news outlets, which have their own global staff base,” ZDNet’s Zach Whittaker wrote. 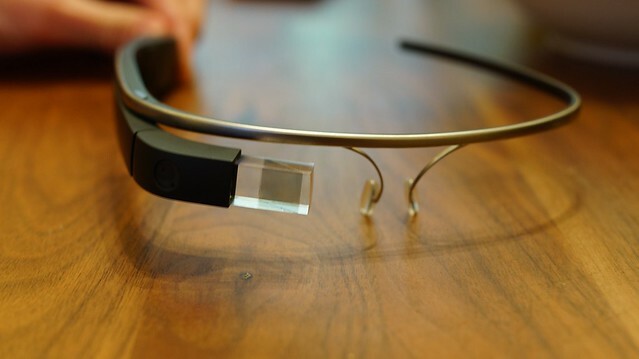 For now CNN will only receive contributions from Google Glass users in the United States, Whittaker reported. Google has been encouraging users to experiment with the device and share their photos and videos. And its potential in journalism has not gone unnoticed. “It's the most mature wearable platform that's out there. And we need to be proactive and figure it out," said University of Southern California (USC) professor and mobile journalism expert Robert Hernandez in a recent interview with Fast Company. Next fall, Hernandez will lead a course at USC on developing journalism-related software for the device’s platform, Fast Company reported.